The Great Harbour of Malta where the events of the 1565 Siege took place was not the only natural harbour of the island where a large fleet could moor and land an army. Marsaxlokk before the adoption of Maltese as the official language in 1934 was known as Marsa Scirocco, the port (marsa) located at sirocco i.e. at the south-eastern end of the island, because sirocco is the hot wind which blows from that direction. In 1565 the Ottomans landed at Marsaxlokk, which was unprotected by fortifications, and their fleet stayed there for the whole length of the unsuccessful attempt to seize the island. Today the harbour is split into two sections one of which houses the luzzu, traditional brightly painted fishing boats. 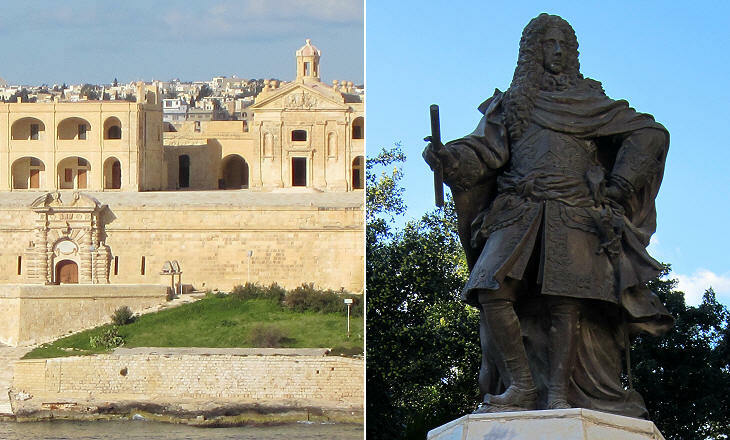 In 1610 Grand Master Alof de Wignacourt decided to protect Marsaxlokk by building a small fortress. It has a square shape with a tower at each corner. On the side towards the sea a separate bastion housed the artillery. 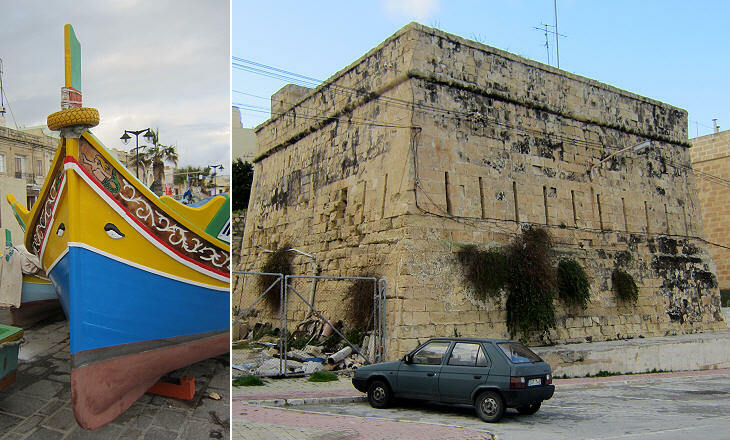 In 1614 Fort St. Lucian prevented the Ottomans from landing at Marsaxlokk. In 1795 Grand Master Rohan made some repairs and improvements to Fort St. Lucian. 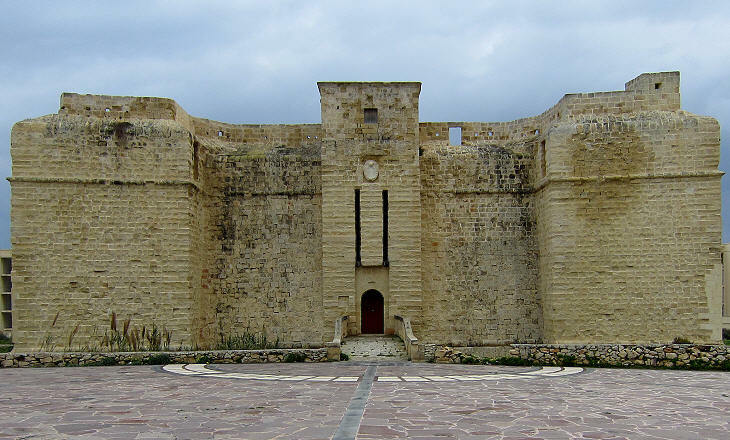 The garrison of the fort opposed resistance to the French in 1798 and it capitulated only after Grand Master Hompesch surrendered Malta to Napoleon Bonaparte. 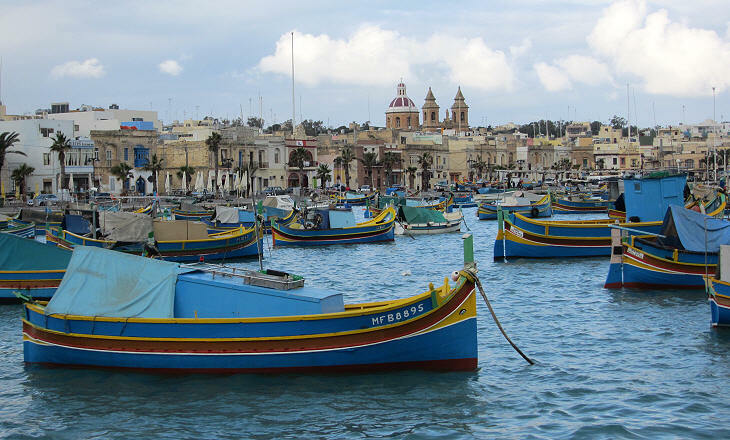 In 1614 the Ottomans landed at Marsascala, so named because it was the harbour closest to Sicily, in an unsuccessful attempt to raid the southern part of Malta. In the following year Grand Master Alof de Wignacourt ordered the construction of a fortress identical to Fort St. Lucian. 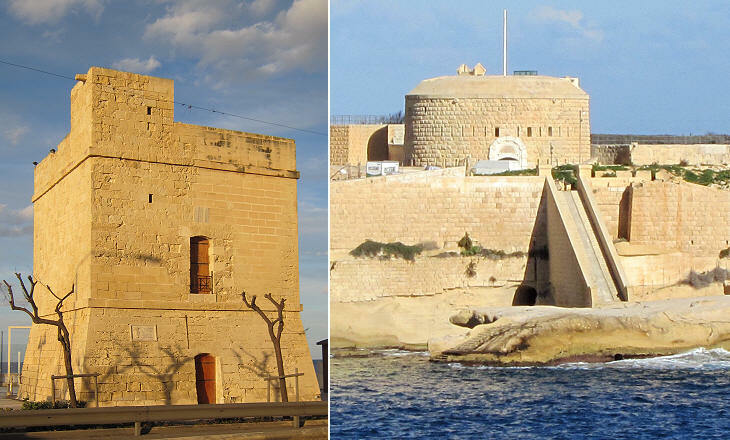 The two fortresses are attributed to Vittorio Cassar, son of Girolamo Cassar who designed the fortifications of Valletta. Fort St. Thomas was on the sea front and it was surrounded by a moat. Similar to Fort St. Lucian, a separate bastion housed the artillery. The erased coat of arms belonged to Grand Master Rohan. Today a modern road separates the fort and the bastion from the sea. During the XVIth century hundreds of towers were built along the coasts of the Italian peninsula and of Sicily for the early detection of corsair ships (see those at S. Felice Circeo). At that time the Grand Masters were too busy fortifying Valletta, therefore they developed plans for coastal towers to be built at a later date. Grand Master Alof de Wignacourt built St. Mary's Tower on Comino. 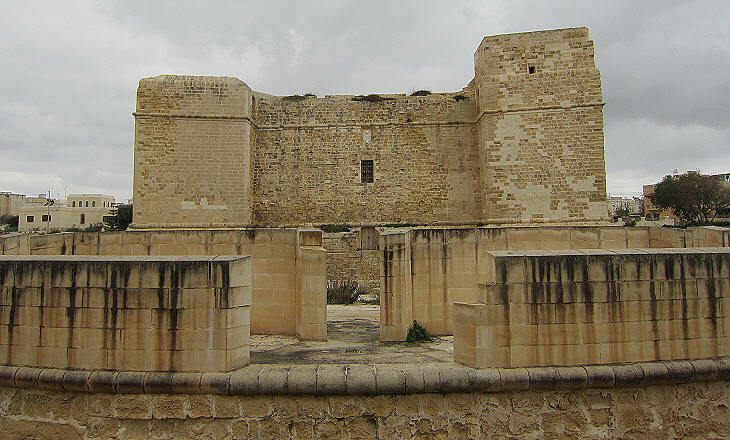 Later on Grand Master Lascaris built seven coastal towers, of which Fort St. Agatha, at the northern end of Malta, is the largest one. Grand Master Redin built thirteen small coastal towers including St. Julian's Tower at Sliema, today the heart of the hotel district of Malta. 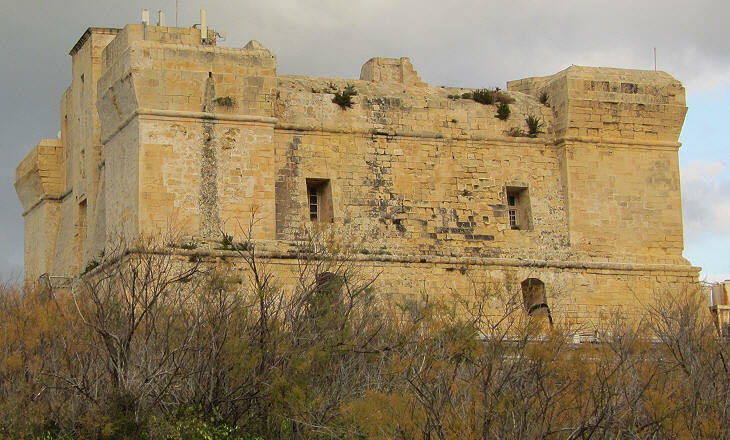 Fort Tigne is more than a coastal tower; its purpose was to complement the fortifications protecting Marsamxett, the northern section of the Great Harbour. 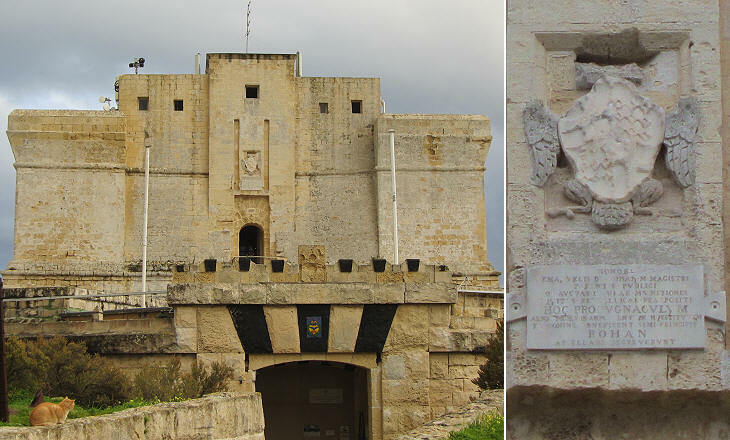 It was built in 1792 on Dragut Point, the site where in 1565 Dragut placed the Ottoman artillery to hit Fort St. Elmo and where he was mortally injured. 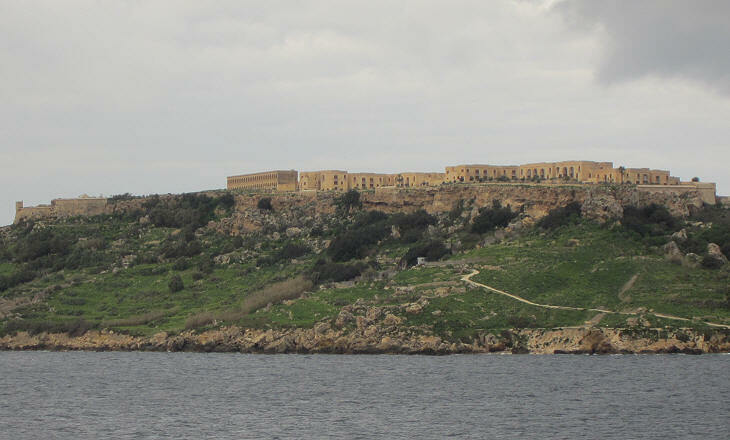 For more than two centuries the Grand Masters were not worried that the Ottomans could make an attempt to enter Marsamxett, but Grand Master Antonio Manoel Vilhena thought differently and in 1723 he commissioned Charles François de Mondion, a French military engineer, a state-of-the-art fortress on an islet in the harbour which housed a lazaretto. The fortress was named after Vilhena's second name and it included a church dedicated to St. Anthony (Antonio being the first name of the Grand Master). It suffered major damage during WWII. 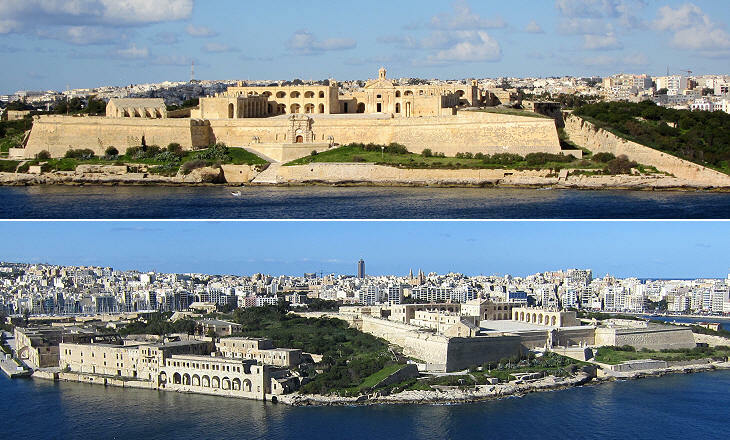 Its (excessive) restoration was a Trojan Horse for the approval by Maltese authorities of a major real estate development including "an exclusive Mediterranean style marina village, a waterfront casino and 2,000 car parking spaces", as proudly announced by Midi plc. "Fort Chambray is a luxury development within an old historic fortress. Blessed with splendid views of the Maltese Archipelago, Fort Chambray is unique and exclusive in every imaginable way". 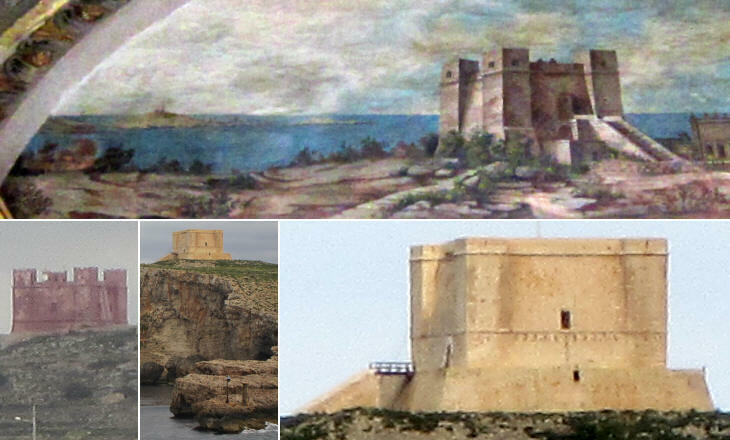 The website of the developers of Fort Chambray so describes a fortress built in 1749 by Charles de Chambray, Governor of Gozo, to protect the site where ships from Malta moored and possibly to develop a new town (this explains why the fortress occupies such a large area). Fort Chambray was abandoned for a long time and it eventually housed a hospital for the mentally ill. The image used as background for this page shows a modern coat of arms of Grand Master Redin at St. Julian's Tower.